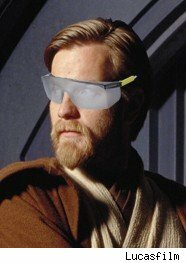 Who needs some new sunglasses for the summer? Yoda, that's who. Yoda and you. Both of you fashionistas need to know what's going to be 'in' this year and that's where we step up, with the help of Vivienne Westwood designer Chloe Struyk. Our expert says: "This style suits round faces. The big swooping lenses lengthens the face. Gold frames suits pale skin tones like the baggy old Emperor here, while silver frames suit more olive skin tones. There are plenty of variations on the aviator out there, it's best to keep it simple and try as many frames as possible." Cooler than: The Emperor's new clothes. What do you mean he's been wearing the same cloak for years? Our expert says: "Round frames are really on-trend right now. It's a really strong look but it won't work for some face shapes. They suit angular and long faces. They soften big cheekbones and long jaws. 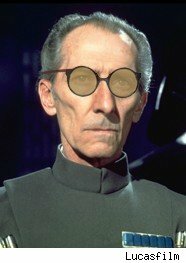 I mean they're helping Moff Tarkin here a bit, but that really is a hell of a face." 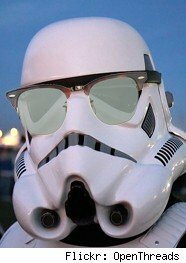 Cooler than: A Nine Inch Nails gig on the Death Star. Our expert says: "Wayfarers are awesome. They'll always be cool. They have this amazing capacity in that they really suit most face shapes. They pull in long faces and extend round ones. 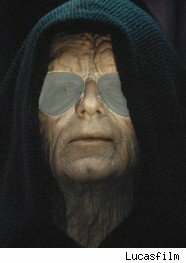 Black, or ideally, deep tortoise shell frames, look better on long faces like old Hammerhead here." Cooler than: A planet Hoth Slush Puppie. Our expert says: "Yeah like I said they suit all face shapes. But if you've got a round face, you can go for slightly more outlandish frames. Now I've seen Yoda in these I can't remember what he looks like without them. That's how hard he's pulling these off. The thick-framed, Ray-Ban, 50s reissue, with the over-sized hinges are the best example." 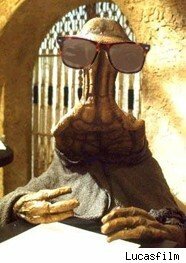 Cooler than: Admiral Akbar supping a scotch on the rocks at Mos Eisley. Our expert says: "Sports visors suit round and oval face shapes, and they're going to be massive again this summer, whether it's the Kanye grill shades, or the rather natty 80s hold-screen style being flexed right here. I'm not sure they do anything for green skin-tones though. Be loud and proud with the frame, bright colours, anything goes really." Cooler than: 80s orange tank tops. Our expert says: "These suit oval and round shaped faces. 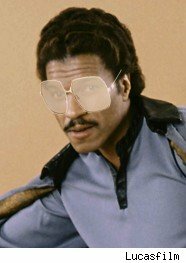 They are achingly cool, and all you really need to pull them off is a lot of confidence, something Lando isn't short of. There is something about a square lens shade with facial hair too, that really works. I can't explain why exactly, but look at Lando. Phwoar." 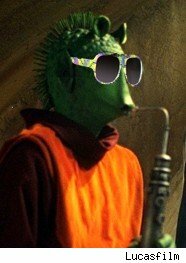 Cooler than: Lando's 'stache. Actually, nothing's that cool. Our expert says: "Oval faces and men with lots of facial hair. The 80s angular style wraparound glasses are just incredible. Team them up with a simple v-neck tee, a pair of cropped trousers and some espadrilles, you'll look the bomb. Can't imagine Obi-Wan adopting that look mind. Good photoshopping by the way." Liar. 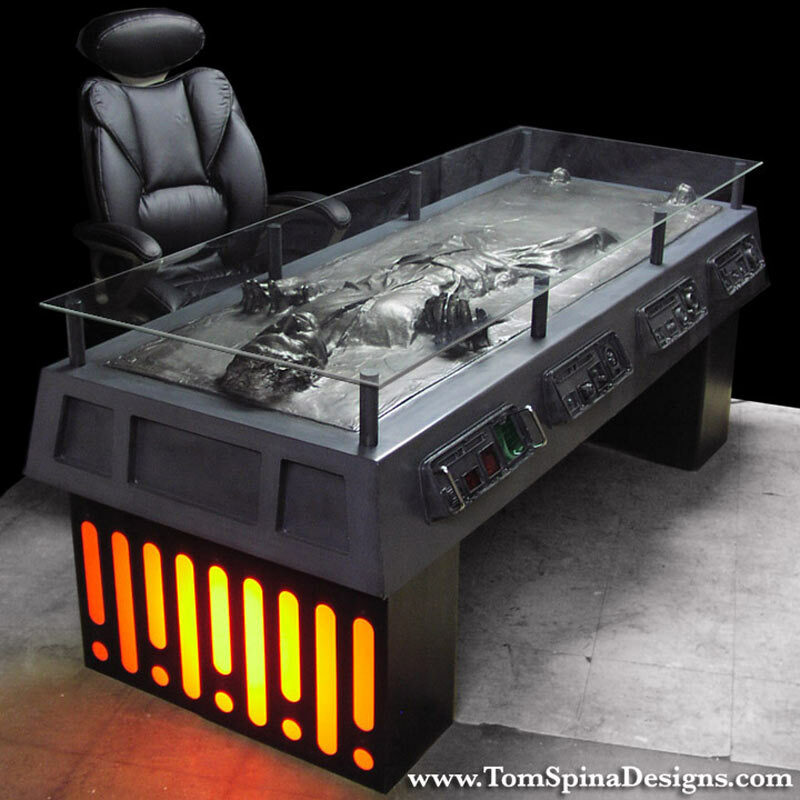 Cooler than: A carbonite office table. Our expert says: "Square-jawed blokes get the honour of wearing the clubmaster. They were without doubt last year's hipster frame of choice and are sure to be everywhere this summer. It's a difficult frame to pull off, because they're so top heavy and square. Blokes with strong jaw lines should try them, but everyone else beware." Cooler than: When Star Wars meets football. Our expert says: "This is a really bold statement. This style was very big, very briefly in the 80s, but was even a bit outlandish then. Whether we're sartorially enlightened enough to cope with them this time round, only time will tell. 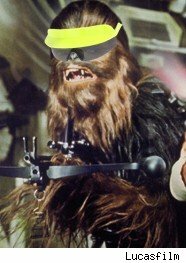 Personally I adore them, and Chewie here is really working them. They're big and heavy, so they'll suit long broad heads best but might overwhelm small, rounder face shapes." 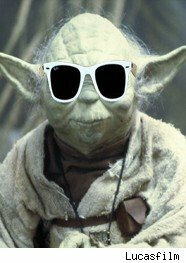 Cooler than: A breakdance fight between Wookies and Ewoks. Brrrrap!